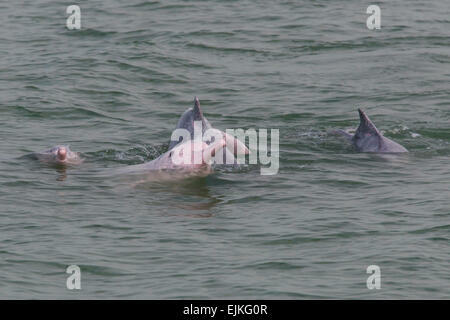 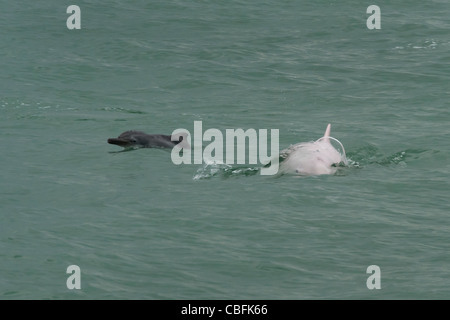 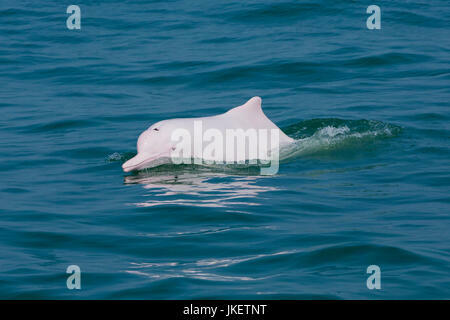 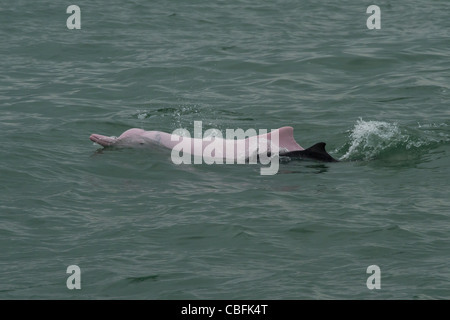 An adult Indo-Pacific Humpback Dolphin or Chinese White Dolphin swimming side by side with its calf. 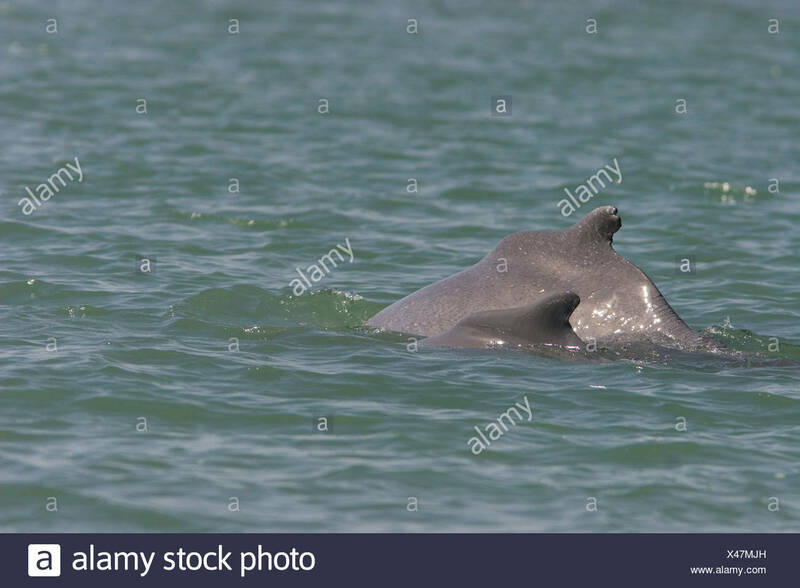 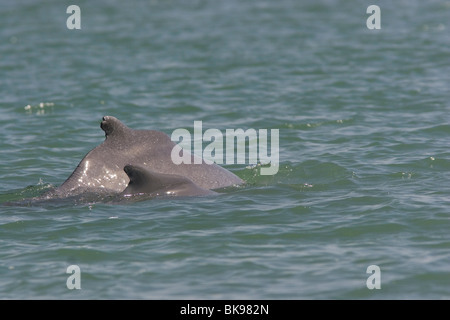 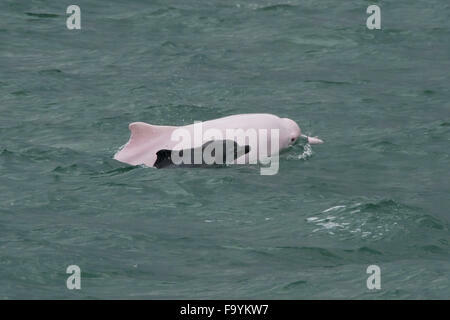 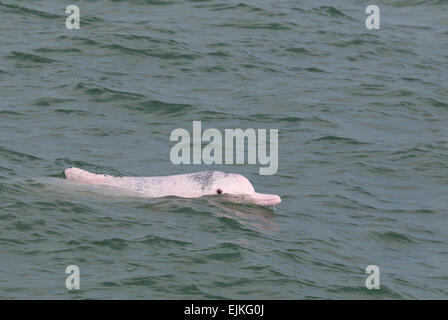 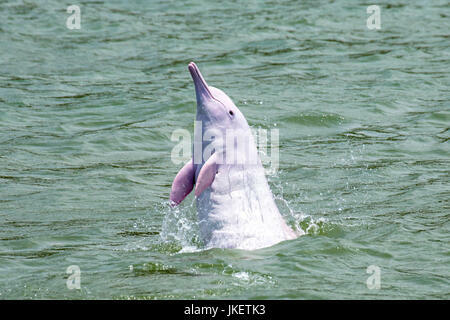 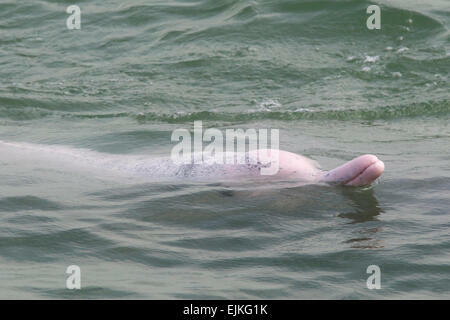 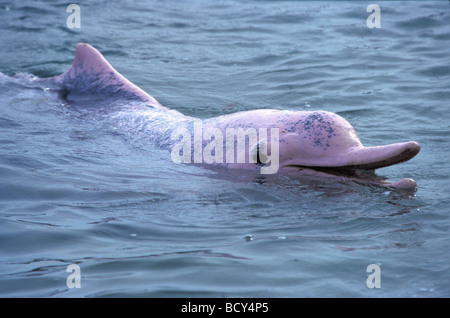 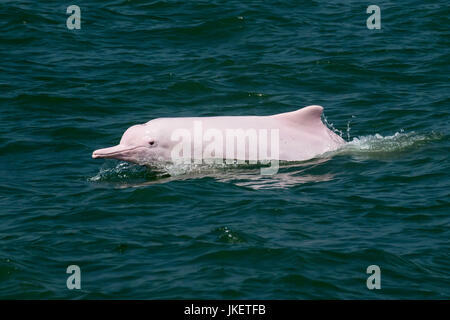 An adult Indo-Pacific Humpback Dolphin (Sousa chinensis) surfacing in Hong Kong waters. 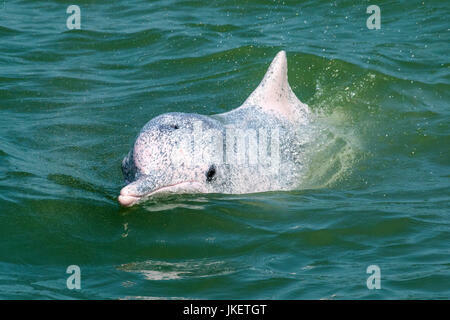 This coastal species faces many threats from humans.